Are you looking for a start, finish, lunch or dinner location for your rally or tour? Or a place to have club meeting, organized from A to Z? Then Classic Park is the place for you! 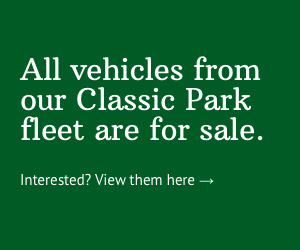 At Classic Park we understand what enthusiasts of classic and exclusive automobiles want, after all we’re enthusiasts ourselves! We have an eye for detail. The experience starts when you enter the grounds at the specially landscaped promenade or at a photo shoot in the Drive Through. 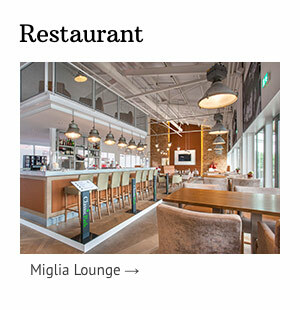 After parking your automobile, you’ll have a great view on it from the Miglia Lounge restaurant or the south facing terraces. Cameras monitor the parking area during your lunch, dinner or to visit the museum. 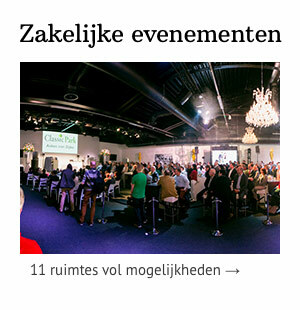 Classic Park has a lot of experience with the organization of tours and is glad to assist you with organizing your tour, rally, club meeting or theme day. Third party organizers are welcome and we like to help them as much as possible. Recently we had successful collaborations with: the Young Timer Event, Ford Mustang Family Day from the Team Mustang Center Netherlands and PUUR Park Porsche and rallies like the Noordkade Rally, Oldtimertourtocht and the Tour of Beauty's of the classic Ferrari Club Netherlands.